Radio FM4: After Mosul and Destruction of the Caliphate, Is ISIS Finished? 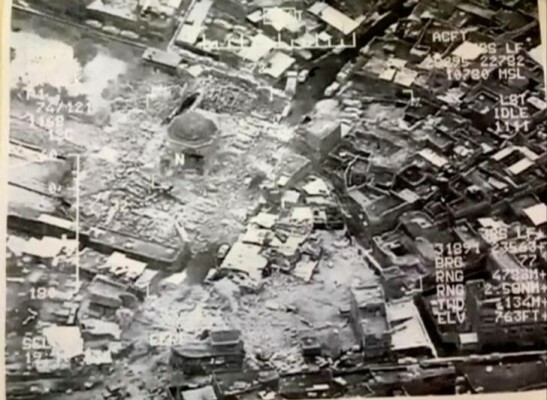 Following the destruction of the Grand al-Nuri Mosque in Iraq’s second city Mosul, I spoke with Austria’s Radio FM4 and Monocle 24’s The Briefing on Thursday about the political and military situation and the future for ISIS after they are defeated in the center of their “caliphate”. The discussion on Monocle 24 concludes with thoughts about whether it is possible for the Iraqi government and people to rebuild a nation so the Islamic State, even as it pursues asymmetric warfare, will not be able to call itself a “State” again. See also Who Blew Up Iraq’s Iconic Grand Mosque in Mosul? If ISIS blew up the mosque, it’s the ultimate scorched-earth policy: “If we can’t have this, then you can’t either,” as they acknowledge that they no longer rule…. You can’t breathe a sign of relief in a wider sense. Since 2003, we have not seen an Iraqi government that has been able to command the support of many parts of the population. There have been issues about corruption, about discrimination, about the reliablity of the security forces…. Until you get a return to proper governance in many parts of the Middle East, North Africa, and beyond, there are always the opportunities for the Islamic State to exploit the anger and frustration of the people. NextSyria Daily: Turkey and Russia to Oversee Opposition-Held Idlib?